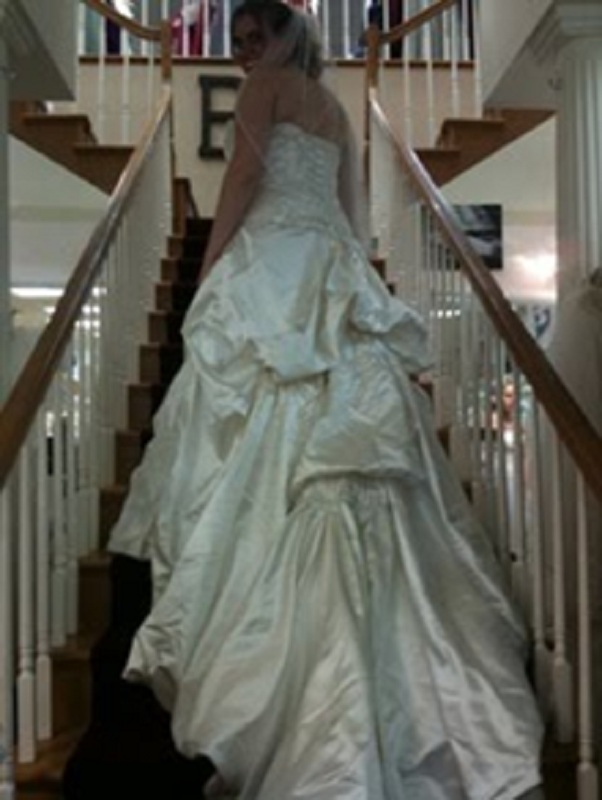 As I promised earlier this week I would reveal what my dress looked like on my wedding day. 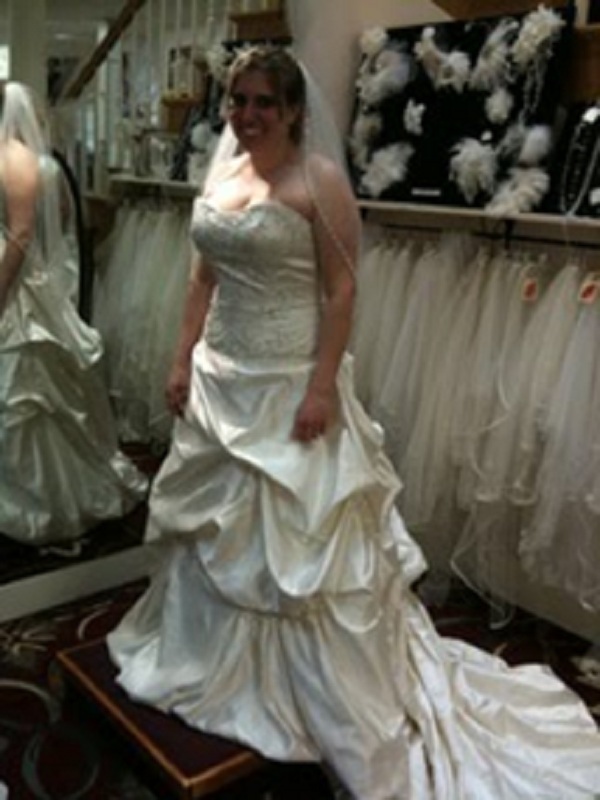 Please remember these were taken with my cell phone so there was no flash, low lighting, and all that wonderful jazz 🙂 But I wanted to share with you my dress anyway. 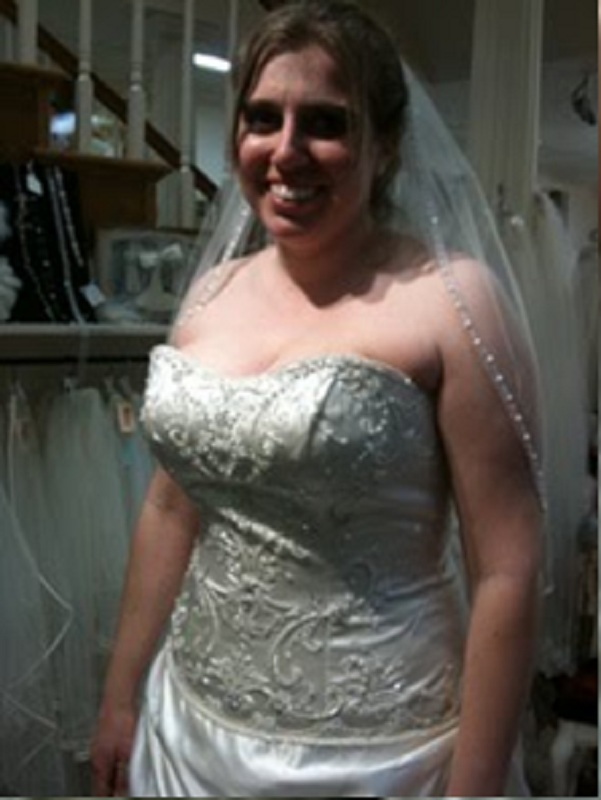 If you remember they had to almost drag me kicking and screaming to go dress shopping, but in the end I found “The Dress”. A close up of the front. And here’s one more of the back. Peace, Love & beautiful dresses!! Kiss a Frog until you find your prince! Very pretty, I'm imagining all the fussing going on right now. Can't wait to see how your hair will look with the veil. Love the detail on the edge of that. Does that mean that you are getting married RIGHT NOW??? AHHHH!! How exciting! Congratulations! 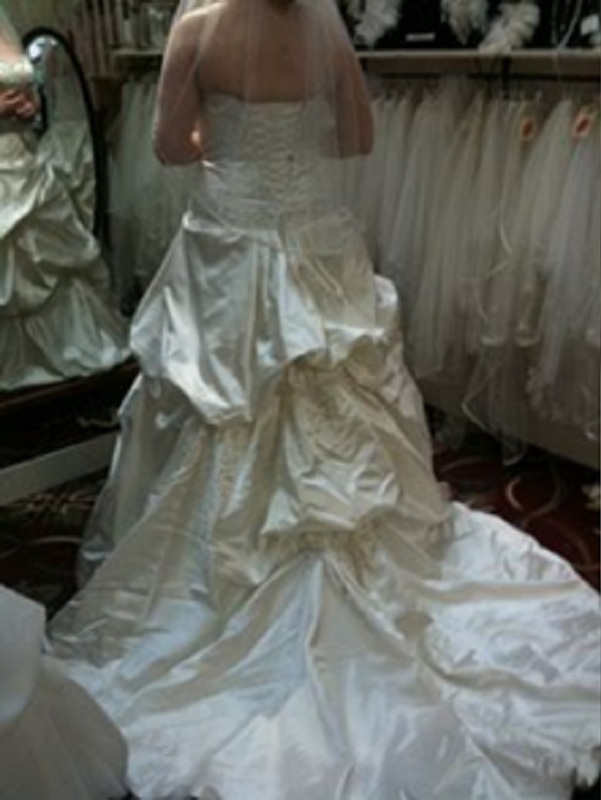 Your dress is absolutely BEAUTIFUL!!! Nicole is right…those pictures don't do the dress justice! It was amazingly beautiful!!! Congrats Nicole and P.C. OMG I am NOT sure how I have been missing all your posts!! BUT your dress is GORGEOUS and I can't wait to see pics from the rest of the special day!